You don’t have to sacrifice your productivity and health to climb the ladder or build your business. Looking for 1:1 Coaching and Accountability for long term-behavior change? Looking for a speaker to inspire your group or team to take action and get results? Looking for self-paced, online training to make changes right now? Climb the ladder and build your business, without sacrificing your productivity and health. 15 modules + bonus courses to help you Eat for Energy, Find Movement Opportunities, Shrink Your Inbox, and Conquer Your Calendar! Self-paced, 100% online course with exercises to form your strategy. 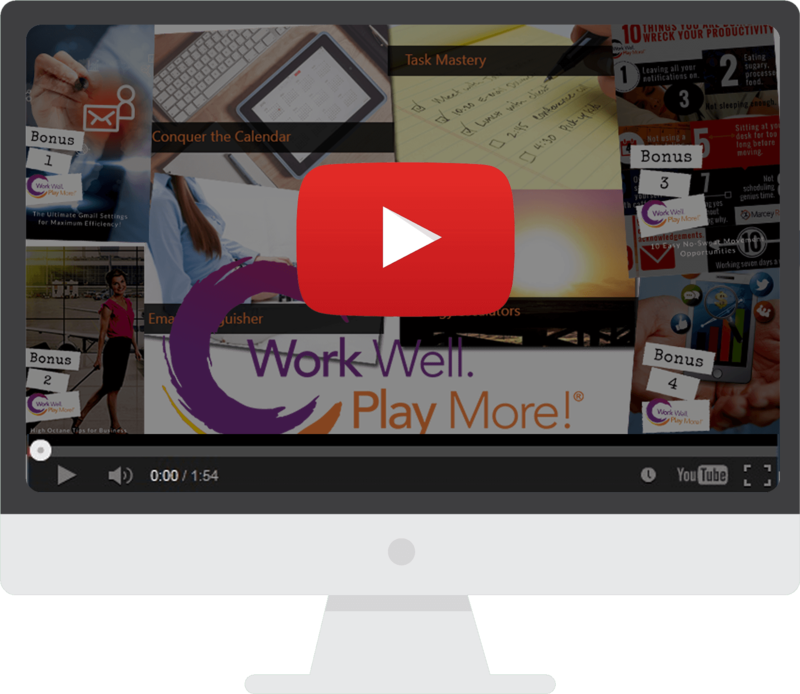 High-quality content to take control of your health, career, business, and relationships. Start off with a sample lesson to Shrink Your Inbox! This comprehensive book for business travellers, road warriors, and mobile professionals gives the tools needed to help reclaim your life and health. Loaded with tips on business travel management, products, diet, checklists, and more! You can be a traveler, climb the ladder and build your business, without sacrificing health and productivity. Get more done. Have more time. Got a question for Marcey? Ready for a Discovery session or Speaker Inquiry? Learn concrete strategies from Marcey and her special guests.